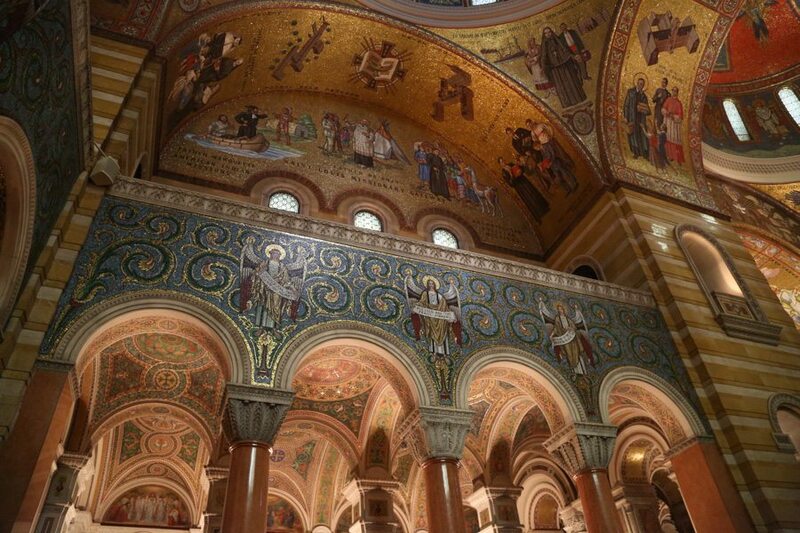 Besides the Vatican, the Basilica Cathedral of St Louis has the largest collection of mosaics in the WORLD. Our family would love to hop on a plane and take two months to explore Europe but, um, that’s not happening anytime soon. 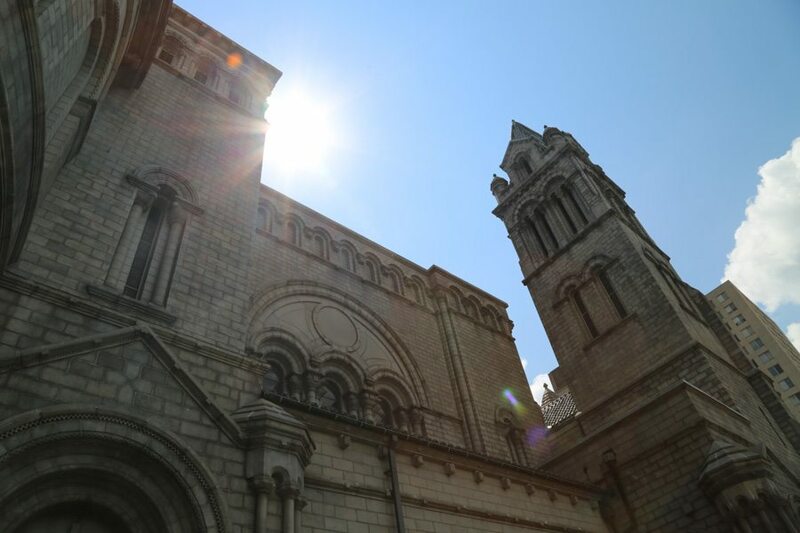 While we were walking through the cathedral taking pictures, I felt like we were actually in Europe. 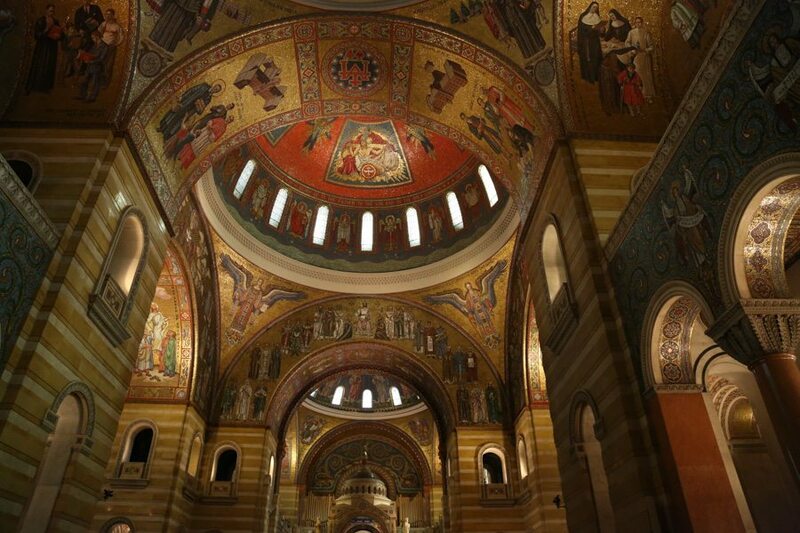 According to Wikipedia, this treasure in the heart of St Louis took 80 years to build and install the mosaics. 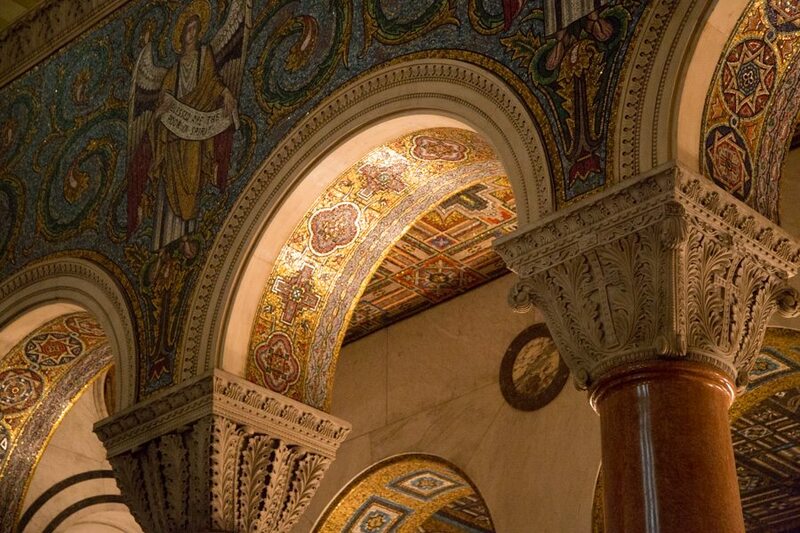 The architecture is a Neo-Byzantine and Romanesque Revival architecture. There is ZERO paint in the building. 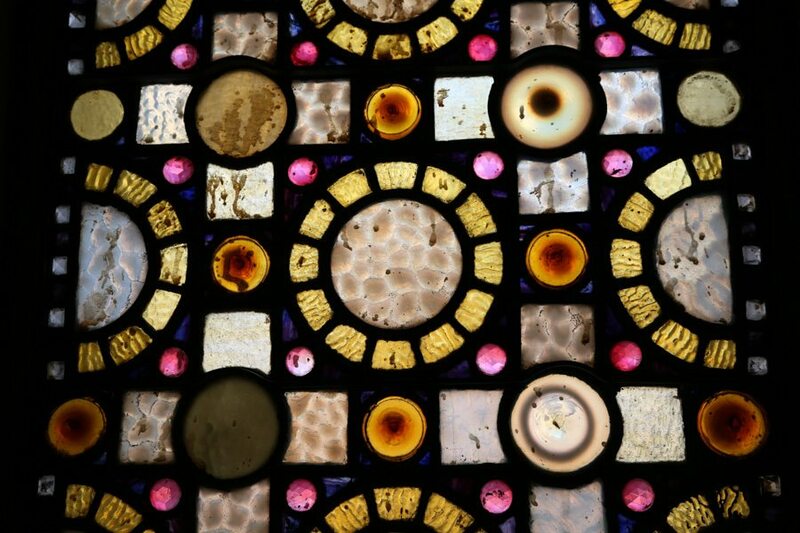 As you look at our pictures, every color, every picture comes from tiny squares of glass. 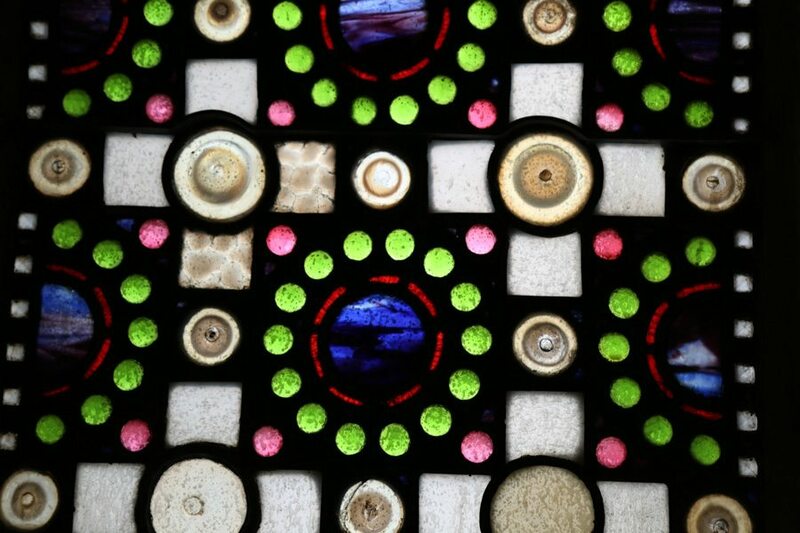 They’re open from 7 till 5 for self-guided tours but we’d recommend a guided tour. Guided tours last about an hour and start throughout the day starting around 10 am and ending usually at 4. If you are interested, you should call 314-373-8241 for reservations or visit their website for complete details. When we arrived they asked for a $2 cash donation per person upfront. I can’t remember the last time our family had such quality “entertainment” for only $12. It was TOTALLY worth it! The tours are given by volunteers and each is different. 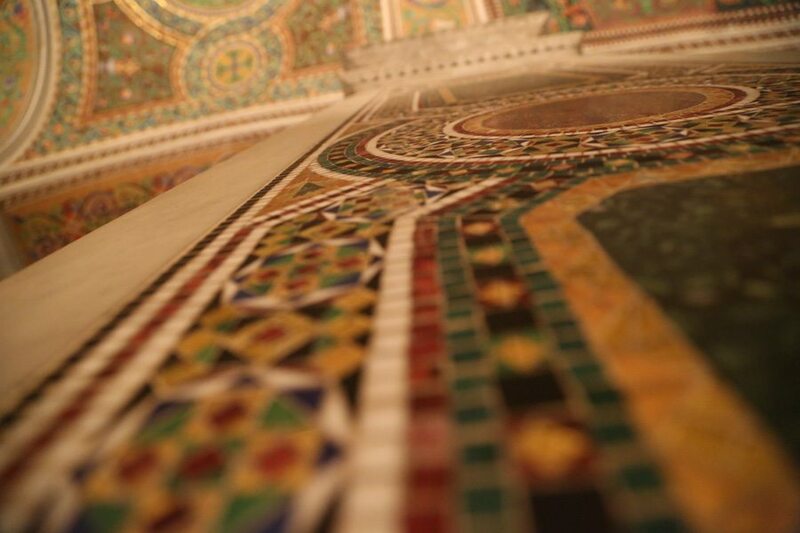 The focus is the chapel with everything from the excellent acoustics to the architecture of the 227 foot dome and the ornate mosaics in the ceiling of the chapel. 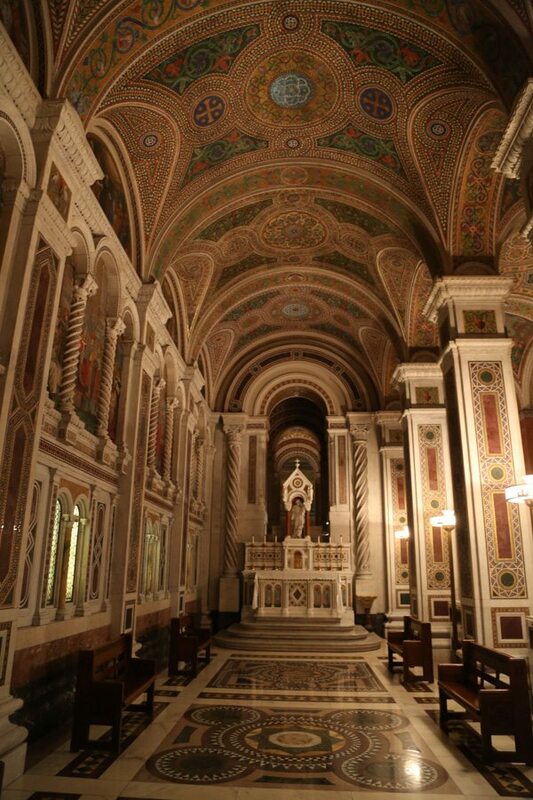 Our tour guide had the group of about 30 to 40 people sit together near the back of the chapel. Sound traveled well but it was a bit difficult to hear the guide. After about 15 minutes we moved about half way into the building. After another 15 minutes we moved to the front alter. 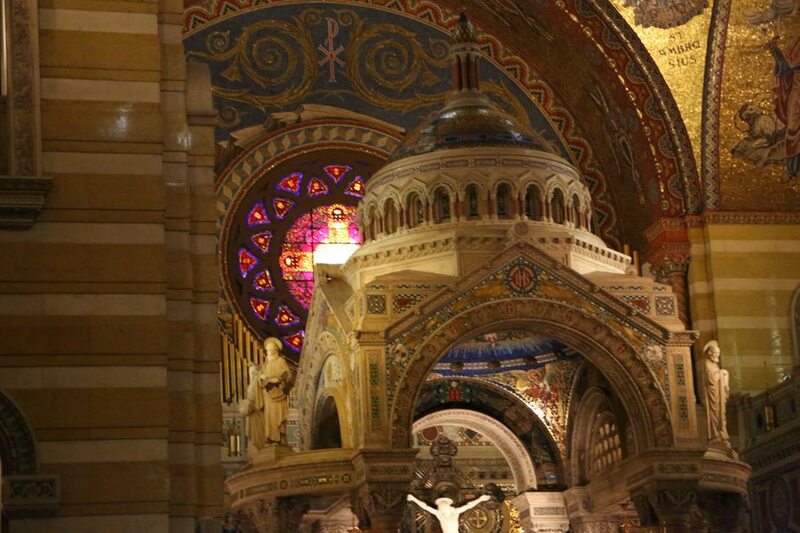 We learned the history of the church and what makes a cathedral a basilica. 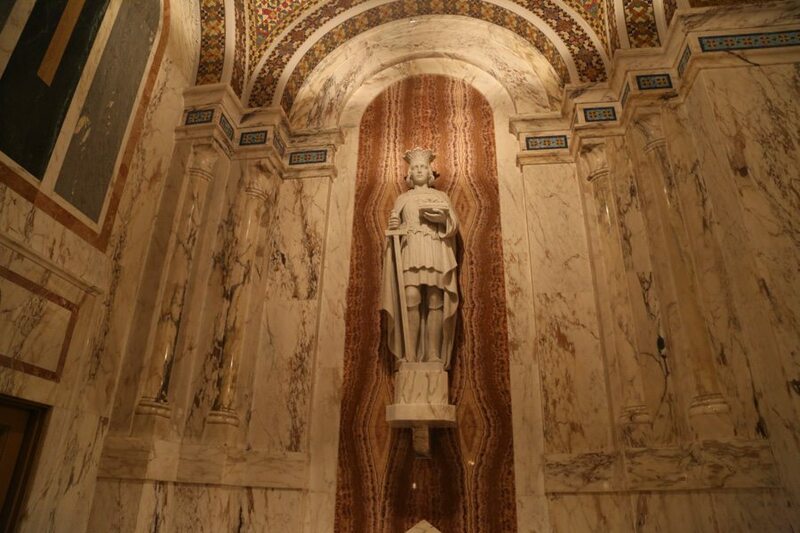 3) Absolutely NO flash photography in one of the smaller chapels. Justin and Parker (ages 8 and 5) are often restless. We noticed that the boys kept pretty still and quite. Tammy and I had been into large cathedrals but this was by far the largest cathedral our kids had visited. They enjoyed the tour but Parker (5 years old) eventually feel asleep on a pew. After the tour, we had a chance to walk around the rest of the building. 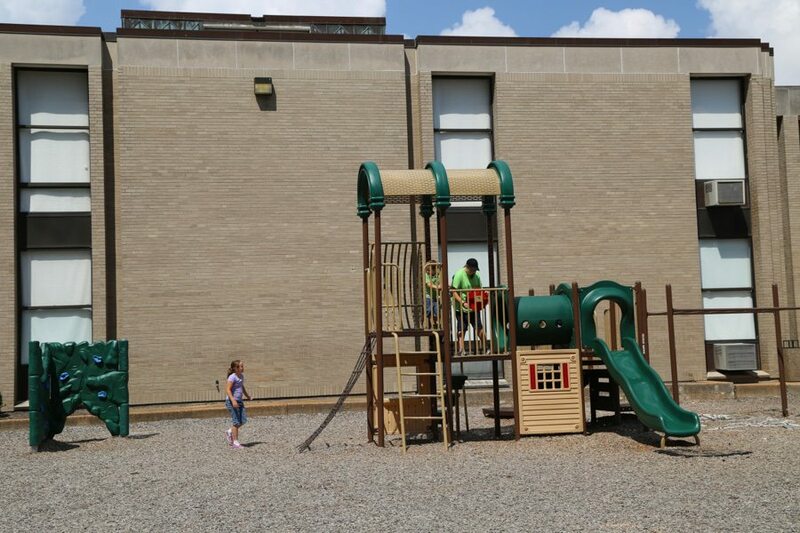 There’s a small playground for the kids on the west side of the building, they enjoyed getting some energy out there.